Aram Binary Options Group is supposed to be a group of expert traders that generates binary options trading signals. This group of traders allegedly has a track record of getting over 78% win rate. 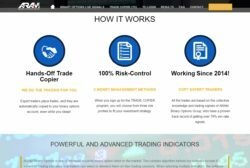 You can get Aram signals either by Skype or through the Trade Copier (TC) that will automatically trade for you. And everything is free, because money is free, right? Here we have the first lie from Aram, they say that they are working from 2014, but their website exists only since September 2016. But this is the smaller problem. Because we have tested the Aram Trade Copier, in other words the robot that is supposed to copy trades from expert traders with a 78% win rate. But it is pure fiction, because Aram just bought the White label robot that is a scam software. This software is absolutely not unique, it is used by dozens of scams. 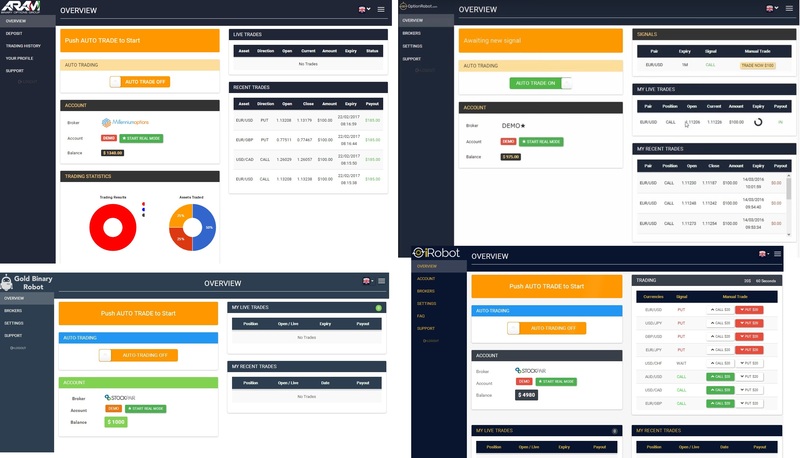 Look at the picture to see some other scam robots that use this same app, like Option Robot, iRobot or Gold Binary Robot. But the worst thing about this software is that it uses a demo that fakes results! We have proven that many times in the past and we have proved it again with Aram Trade Copier. Just look at the video and you will see that the robot uses fictitious prices to create wining trades. So it has nothing to do with a simulation of real trading! People unaware of this dirty trick will think that the robot really works, so they will open a real account and let Aram trade with their money. And then they will be unpleasantly surprised by the speed their money disappears from their account. 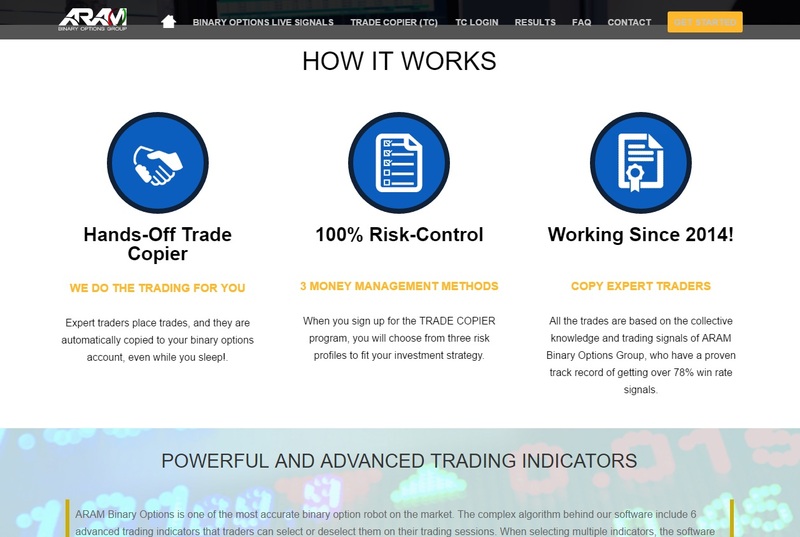 ARAM Binary Options Group is a scam because it uses a scam robot that fakes demo results. Stay away from ARAM! To see how making money with binary options really works, you can a try a free demo with a regulated broker. On the demo you can verify the performance of any strategy or system and you can also learn to trade profitably by yourself.